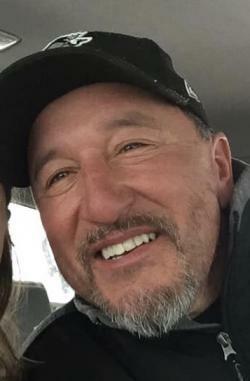 Following a brief illness, Donald Pierre Perley of Tobique First Nation, NB, passed away at the Upper River Valley Hospital on April 9, 2019. Pierre was born at Tobique First Nation, NB, on February 23, 1962. He was the son of the late Donald and Camilla (Francis) Perley. Pierre leaves behind his partner, Shirley Francis; his children, Tre Perley and Bree Perley, both of Tobique First Nation, NB; his sister, Bernadine Perley of Fredericton, NB; along with several nieces and nephews. Pierre was predeceased by his parents; his brothers, Brendon Perley, Derrick Perley, and David Perley; and his great nephew, Brady Perley-Francis. Funeral service was held on Friday, April 12, 2019 at 2 pm from St. Ann's Catholic Church. Father Curtis Sappier celebrated. Music for the service was by organist Tracy Hamilton and the church choir. The eulogy was given by Neil Perley. The urn bearer was Sky Perley. Arrangements were entrusted to Brunswick Funeral Home, Perth-Andover, NB.